Star Wars Celebration Anaheim Is Going Live! 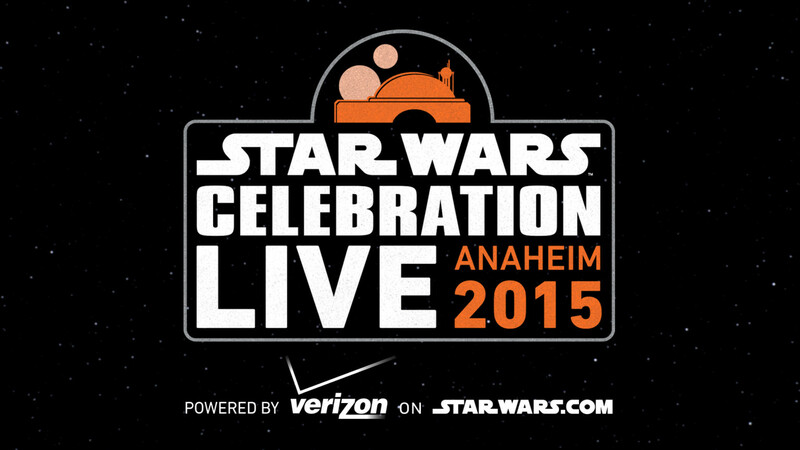 Today, StarWars.com announced that there will be a live-stream (powered by Verizon) taking place at SWCA. The stream will launch with the kickoff panel featuring J.J. Abrams and Kathleen Kennedy. Many fans are crossing their fingers in high anticipation of hopefully seeing the next trailer for Star Wars: Episode VII – The Force Awakens. Here at THS we are hoping in anticipation for even the slightest peek at the new look for the returning cast and if it can happen, we want Boba Fett back! Rumors of a teaser poster has also circulated throughout the web. Many fans feel they already have an idea of what that would look like due to the marvelous fan posters that have been going around and even we are astonished by the immense amount of artistry that fans have put into creating their own fan posters. Our very own Mark Watton (Darth Armik), Gary Seymore , and Mike Locko will be at SWCA this year giving us some coverage via Instagram of the inside scoop. So if you see him, feel free to give him a shout! Also feel free to tweet us @TheHothSpot and post on our FB wall with all of your pictures and videos! If you want to see live videos and shots Darth Armik will be posting stuff on his snapchat, @Armk1122, so go add him to see live posts. Also send us some pictures of your costumes! Any Pre-SWCA thoughts? Let us know!